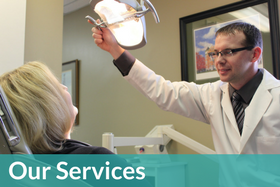 We provide a wide range of dental services including: dental implants, dental sealants, root canal treatment and more. 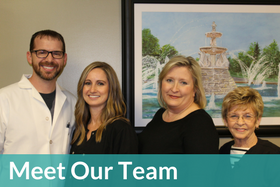 Our team at Gladstone Family Dentistry consists of professional and caring individuals with years of dentistry experience. 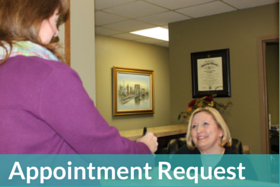 Need to schedule an appointment? Click the button below to fill out a quick form and we'll be in touch to confirm your appointment. "Our family has been going to Gladstone Family Dentistry for many, many years. Today we had a dental emergency. As usual, Dr Graue, Dee and Sandy kicked it in to high gear and AGAIN exceeded our expectations!!! Words can never express our extreme gratitude for helping out our daughter today. Thank you so very much!" "Dr. Graue is hands down the best dentist, not only does he do great work the ENTIRE staff is absolutely wonderful! I always get treated with respect and leave feeling confident in my smile. Thanks Gladstone Family Dentistry, keep up the great work!"